To think deeply about your message, to word it with care, and to present it in a relaxed and natural way – these are the three basic elements of successful oral communication. Confronted with the video recording of their first statement exercise – executed with no preparation – participants immediately discern defects of speech, elocution, or position. 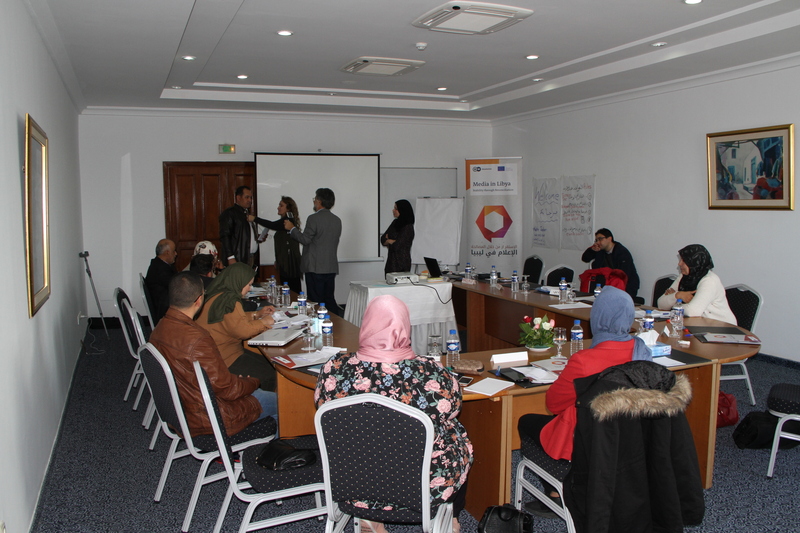 Information about communicating with the press and about the structure and dynamics of an interview gave the participants the background information they needed to prepare well thought-out statements that conveyed the core messages of their organizations. © 2019 - Media In Libya. All Rights Reserved.